This idyllic spot in Florida offers miles of pristine private beach, fine dining and plenty of R&R opportunities – or access the Everglades adventures on its doorstep, if you dare. 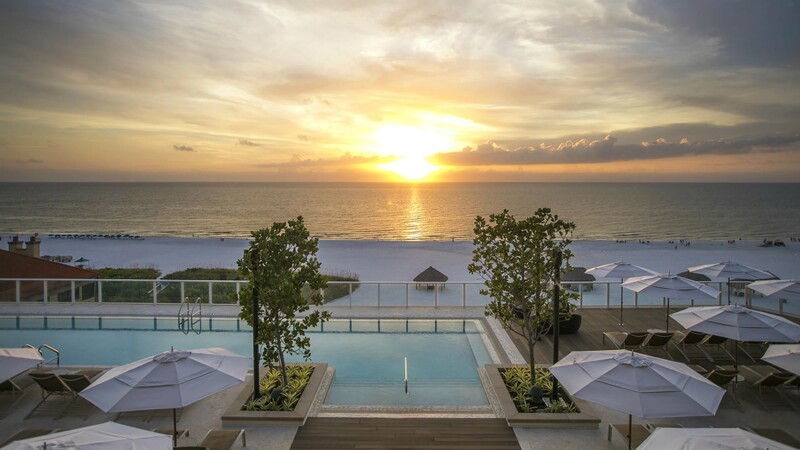 The JW Marriott Marco Island Beach Resort, located right on the Gulf of Mexico is all about luxury and relaxation – and thanks to a recent multimillion-dollar renovation of the property, it's inclusive of every type of holidaymaker visiting the south of Florida. With an arcade, family-friendly restaurants and activities like kayaking on tap, families can soak up every single sunny hour. Meanwhile, sunset cocktails at the adults-only pool, full-service onsite spa, and Paradise by Sirene, a curated escape exclusively for grown-ups, ensure that everyone has their own space to enjoy the resort. Guests enter through a revolving door that opens up into a stunning lobby area with vast ceilings that give you a view of the pool and beach area immediately. Don't waste a minute unpacking – start taking advantage of as many amenities as you can on your stay. Prices depend on your view, but with Gulf Front, Pool and Gulf, or Tropical palm tree vistas to choose from, there's no bad seat in the house. We were lucky enough to stay in an Age 21 Plus Sirene Guest Room, with views of the beach from our balcony, a complimentary breakfast, access to the adult-exclusive rooftop pool and beach butler service. 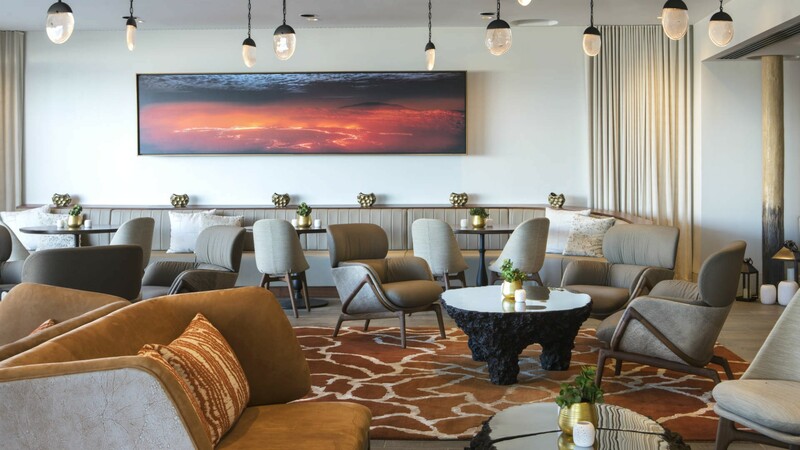 Guests staying at the newest addition to the property (the Lanai tower in which Sirene resides opened in 2018) can check in at a separate desk and enjoy a glass of bubbly upon arrival before heading up to their suite. The rooms are spacious with clean lines and a Balinese-inspired design. Little extras in Sirene, like coffee machines and roomy showers with large circular heads for rinsing away all that ocean water, help to take your vacation to the next level. While there's plenty worth exploring in the Marco Island area, there's more than enough to occupy guests who never want to leave the resort. Play 18 holes on one of two private golf courses, take a dip in one of three swimming pools, engage in watersports or simply relax on the beach. The JW Marriott has around 10 eating options on site, but our top pick is Tesoro, a new fine dining spot serving Mediterranean sharing plates. We enjoyed dips like hummus and tzatziki before chowing down on tons of great seafood and veggies, many of which were seasoned with herbs from the onsite Savita Garden. 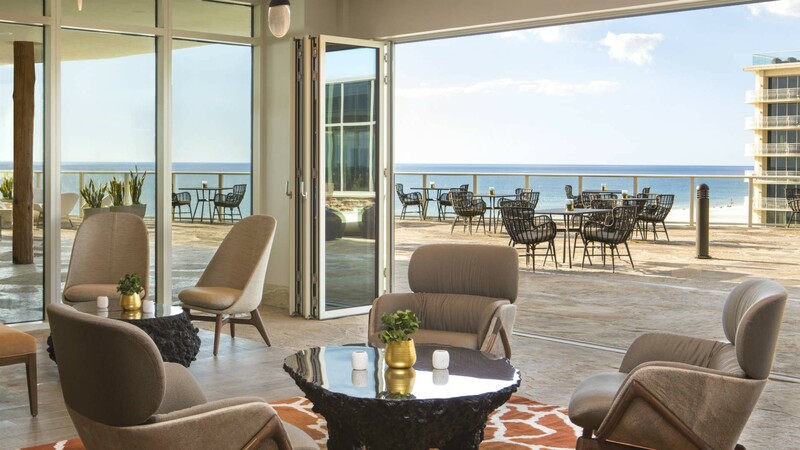 The resort's only adult-exclusive restaurant is the perfect spot to enjoy sunset cocktails while soaking up the panoramic fifth-floor views of the Gulf of Mexico. If you're still looking for some after dinner entertainment, head to 10K Alley, a gaming emporium with bowling, mini golf and virtual sports simulators, plus a gastropub offering more than 60 Florida-brewed craft beers. 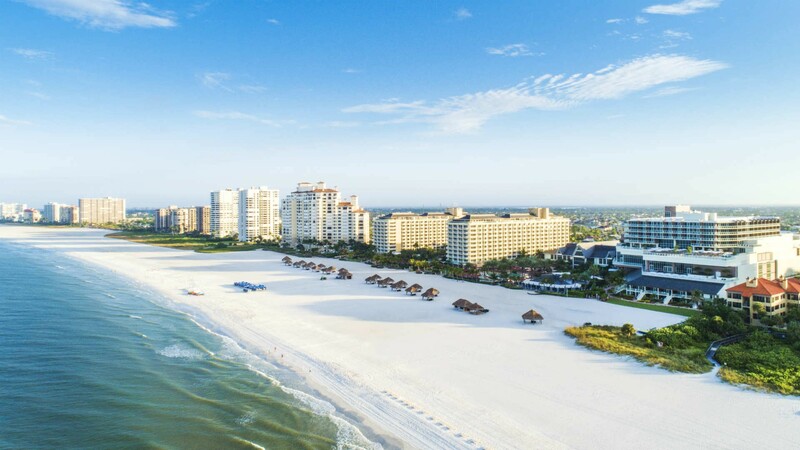 Located in Florida's Ten Thousand Islands, you won't be surprised to learn that the beaches and water at Marco Island is a huge draw for visitors. But beyond the pristine white sands, there's a rugged beauty to the area that begs to be explored. Collier Seminole State Park is just a few miles away from the resort and will let you easily tour the Everglades on an airboat (we recommend taking a spin around Corey Billie's 200-acre preserve) and spot some gators – from a distance or very up close, depending on how brave you feel. If you prefer something a little lower octane, nearby Naples (40 mins drive away) is a great spot for some retail therapy. 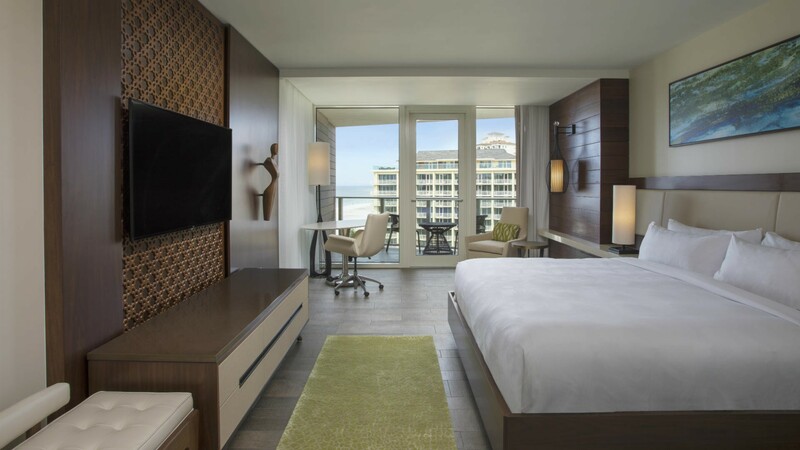 JW Marriott Marco Island is just over an hour away from Fort Myers, with Miami International airport and Fort Lauderdale just a little more than two hours to the east.